Though there are many operating systems to power mobile phones and tablets, Android OS has become one of the most widely used and preferred open source operating systems in today’s world. The reason being, it is free and it provides versatility to create any kind of apps. Not surprisingly, many IT organizations are on lookout for Android application developers. However the question, which institution to approach in order to master the Android technology is very common and lurks in many people’s mind. Multisoft Systems has been providing training on Android technology since its inception. Multisoft has given Android training to thousands of students and professionals, and assisted them to land a job. More than 1000 students and professionals have got placed in different top-notch MNCs and fortune 500 companies by getting trained from Multisoft Systems on various technologies. The best aspect of getting Android development training from Multisoft is that it offers training on the latest version of android technology – unlike other institutes which do not upgrade themselves and teach older version of the technology which is of no use. Multisoft Systems has always believed in imparting the best Android training to its students so that they can understand the technology completely. And thus it has partnered with Android and other creators of knowledge such as Microsoft, Oracle, Cisco and many others. This collaboration allows students to learn from the parent company’s courseware. Besides this, with an aim to equip students with the hands-on experience, Multisoft allots a project to each student. By engaging in a real-time project, students get to explore, code the way as done in any IT industry, and comprehensively understand Android technology. In addition to this, certified trainers take training session. These trainers do not restrict themselves to teaching creation of simple Android applications but they go beyond that and throw light on how innovatively different complex Android applications can be created. For online learners, Multisoft offers a virtual learning portal. The access to the portal is 24×7. This allows students to get trained from the portal from anywhere, any time as per their convenience. The portal is equipped with the latest video of each session, PowerPoint presentations, PDFs, and other required files. 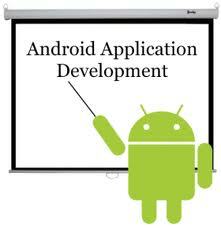 To sum up, Multisoft Systems’ Android application development training goes beyond the conventional simple applications creation and explores all possible ways of creating an efficient, robust, and feature rich Android application. Along with that, it renders a valuable industrial hands-on work experience to the students and professionals which may help them to develop ingenious and feature studded applications that may become one of the popular applications to have in mobiles and tablets. Thanks for sharing I really like this blog.Android apps development training right now it’s a very popular course.Job opportunity is more in this sector.so any one can build his/her career in this sector.